J.M. 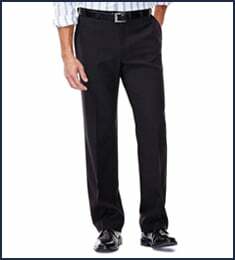 Haggar 4 Way Stretch Dress Pant is rated 4.4 out of 5 by 30. Rated 5 out of 5 by ShawnG from Style changer! So I'm a pretty casual male, I like being comfortable which means I wear a lot of loose fit t-shirts and jeans on the weekends to regular cotton khakis and polos to work during the week. I looked at these pants at a store and gave it a consideration to help elevate my style, but I haven't considered myself "slim" in the past few years. A month later I ordered two pair and here I am again ordering some more. These are the most comfortable pants I've ever owned. I have pretty muscular thighs, skinny bottom legs and a tad oversized waste and the forgiving stretch has made my confidence soar in pulling off a top of line dressier pant during the week. Do i dare say I've even turned a few heads? Heck yes I will! Kudos to Hagger! Keep it up and don't go changing these, but please also make Khaki colors in this style. Rated 4 out of 5 by bpsunnyfl from Nice Pants! Great fit and awesome price. 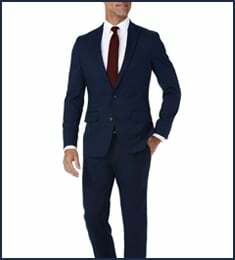 5' 9" 175, normal build for guy in mid 40s who drinks beer. I go from a 32" to 34" pants depending on the brand / style. Wear 32" x 30" American Eagle flex jeans. Ordered these in 33" x 29" and they were a tad snug. Returned and got the 34" x 29". Waist was perfect but a tad long. Liked them enough to pay to get them hemmed, otherwise 5 star. Own 3 pair. 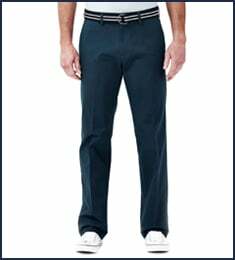 They are a little slimmer more tailored than a classic fit, a look I prefer. 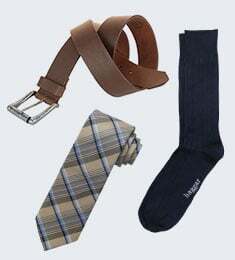 Great with a polo or sport coat.